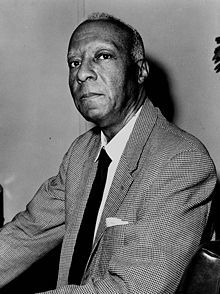 Randolph was an early civil rights leader who sought racial equality primarily through organizing black labor, beginning with the Brotherhood of Sleeping Car Porters, of which he became president in 1925. Against much white opposition, Randolph fashioned the Brotherhood into the first successful black trade union. Shortly before U.S. entry into World War II, he persuaded President Franklin D. Roosevelt to issue an executive order (June 25, 1941) barring discrimination in defense industries and federal bureaus. After the war, Randolph founded the League for Nonviolent Civil Disobedience against Military Segregation and persuaded President Harry S. Truman to desegregate the armed forces (July 26, 1948).